Make sure you're getting the proper amount of fluoride. Fluoride strengthens tooth enamel — it's essential for children's developing teeth, and helps prevent decay in both kids and adults. Even if your municipal water is fluoridated, you should always use fluoride toothpaste. 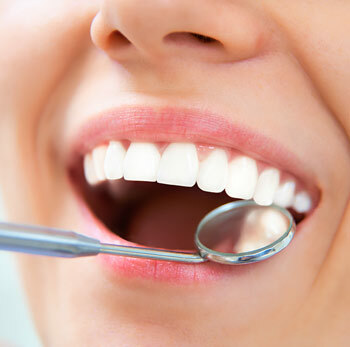 If more fluoride is needed, it can be applied directly to your teeth at the dental office. Use an appropriate mouthrinse — especially if you're at increased risk. Therapeutic mouthrinses do more than temporarily mask bad smells or tastes in your mouth — they can improve your overall oral hygiene. While some over-the counter products offer primarily “cosmetic” benefits, therapeutic rinses contain anti-bacterial and anti-cariogenic (cavity-fighting) ingredients. Using a therapeutic mouthrinse has been proven to control plaque bacteria and prevent cavities better than brushing and flossing alone.